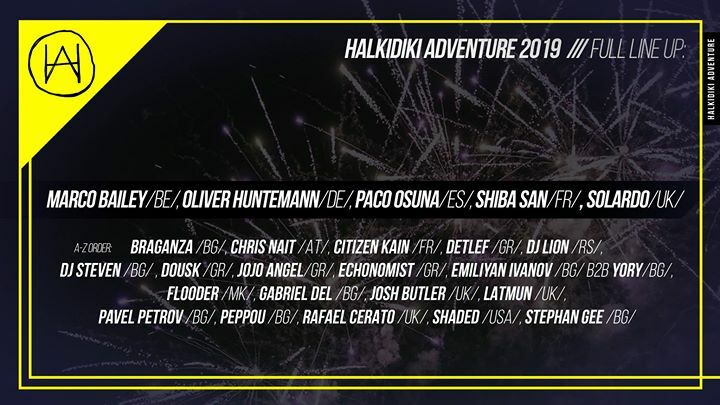 es🔴 Are you READY for chapter three – Halkidiki Adventure Music Festival 2019? 🔴 EXPERIENCE distinction, movement, contrast, nature, sound! 📅 Get involved into a total of six parties – an adventure through sound and emotions. 🔴 JOIN us and experience the Halkidiki Adventure journey! 🔴 Tickets and RAVE&SLEEP accommodation packages are now ON SALE!